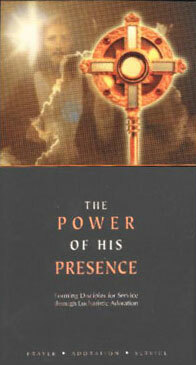 To assist every parish in the Archdiocese of Chicago in an effort to open the doors to Perpetual Eucharistic Adoration. To coordinate with interested groups within the parish on how to undertake the first step necessary to approach the Pastor. To educate the planning group of a parish on the Catholic Faith’s teachings on Eucharistic Adoration and the benefits gained. To make available literature, film and other information packets to group leaders, to assist them in further educating additional adorers. To provide the necessary information needed for the day-to-day operation, and the role that each Coordinator/Captain will play. To assist in providing speakers at the parish Masses to encourage additional adorers and publicity for this wonderful undertaking. To assist in construction ideas or locations for Chapels in the parish. To advise on positive security measures that can be undertaken, as well as Chapels with different security ideas. To assist in financial needs, basically on how to fundraise and also how other parishes went about building their Chapel. To open some form of Adoration in every Parish in this Archdiocese, it is the goal of everyone working for Pope John Paul II but especially our Cardinal. 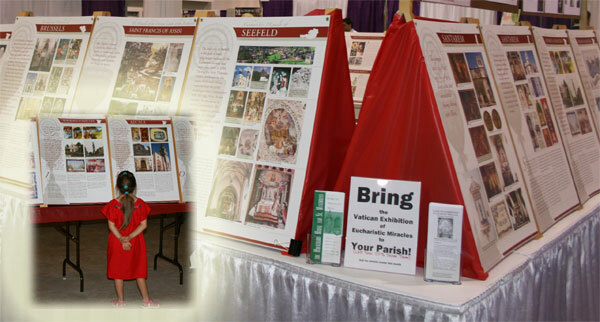 To Provide the Eucharistic Miracles Exhibition Panels for visual evangelization at your Parish. We have members of our Eucharistic Evangelization teams and Vicariate Leaders visiting parishes to promote and strengthen Eucharistic Adoration. Contact us for more information about the Miracle Panels and to schedule a date at your Parish. We have an informational videotape produced by The Mercy Foundation which is available to help introduce any parish or institution committees interested in starting Perpetual Adoration. The videotape consists of dialogue by Pope John Paul II, Mother Teresa, Cardinal George and priests and laity from the Archdiocese of Chicago and elsewhere who discuss the importance of 24-hour Eucharistic Adoration and show all the necessary steps involved in establishing it. To order the film you can call us at 708-728-0840. 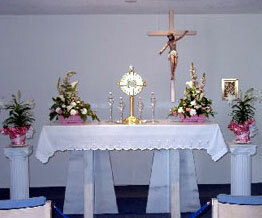 ADORATION IS... appreciation of the gift of God's total presence among us in the Holy Eucharist. 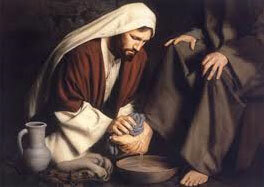 Being present to Him, who is present to us. Drawing close to Him, who has drawn close to us.